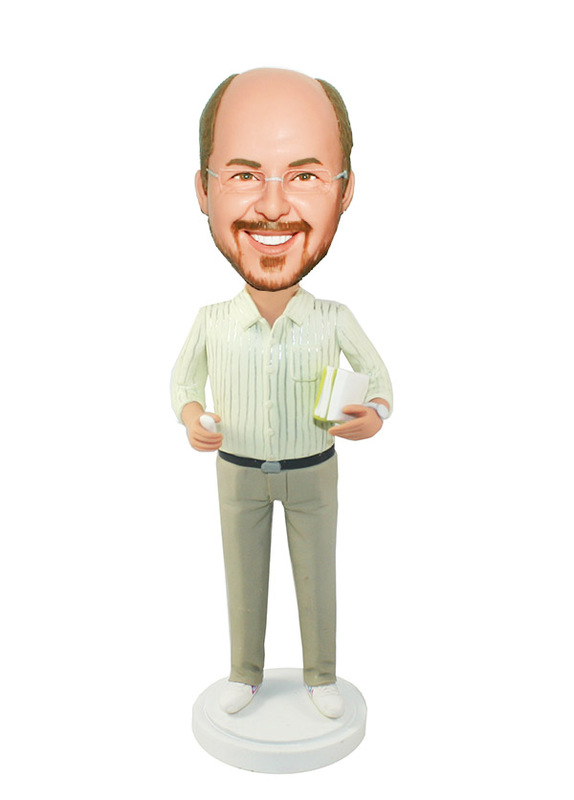 M-290x Personalized bobbleheads from photo.Change the color as you like .Beige shirt with silver lines and khaki pants with black belt, this custom male bobblehead is clutching book on his left hand and the other holding chalks. 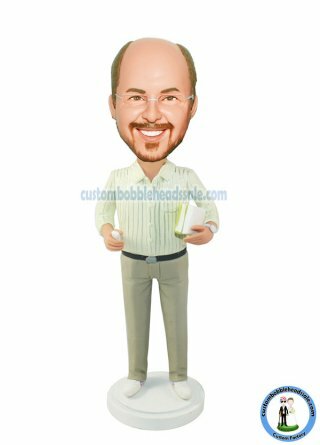 Are you seeking a unique gift to your lovely teacher on the Teacher's day, this custom teacher bobble head is second to none. He will love and cherich it for a long long time.